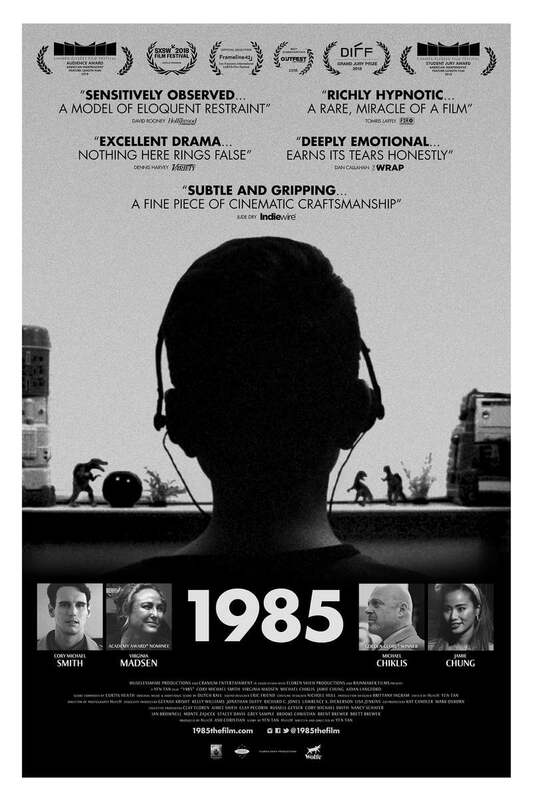 1985 DVD and Blu-ray release date was set for December 18, 2018 and available on Digital HD from Amazon Video and iTunes on December 4, 2018. Set during the AIDS epidemic of the 1980s, this period piece examines the struggles that the gay community dealt with during the era. Lead character Adrian is a closeted gay man who has spent his adult life in New York City, but after he finds himself afflicted with AIDS, he returns home to reconcile with his family, come to terms with who he is, and break the news to his parents. He's quickly reminded exactly how different life in small town Texas is from his years spent in New York and has to deal with not just his imminent death but the memories of his upbringing.